Apple cider vinegar is often an ingredient or the main component of home remedies. It is promoted for treating allergies, rashes, and infections and for aiding in digestion and promoting weight loss. However, there does appear to be some scientific evidence backing up vinegar's viability as a supplement for lowering cholesterol, though you should not use it as a substitute for traditional medicine, nor without your doctor's approval. There are two types of cholesterol. There is good cholesterol, or HDL, and there's bad cholesterol, or LDL. You need both to be healthy, but it's vital that you have higher HDL, because it helps to keep your LDL in check and prevents heart disease. Maintaining a healthy diet and taking cholesterol medication is the common course of treatment for those with high LDL cholesterol. Apple cider vinegar is made by fermenting apples, and it's been used as a home remedy for a variety of ailments over the centuries. 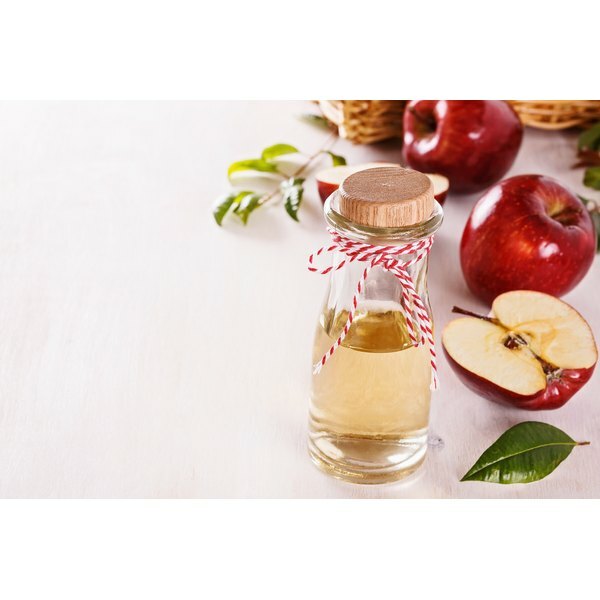 According to Earl Mindell, author of "Dr. Earl Mindell's Amazing Apple Cider Vinegar," diluting vinegar in water can improve digestion, blood sugar regulation, and may promote weight loss. It can also be applied topically to treat rashes and fungi. According to a study published in the "Pakistan Journal of Biological Sciences" in 2009, apple cider vinegar may help to regulate cholesterol. The study showed that rats that drank vinegar experienced a reduction in LDL cholesterol and an increase in HDL cholesterol, especially if they did not have diabetes, which is the essential combination for reduced heart disease risk. Though the study in the "Pakistan Journal of Biological Sciences," is promising, it does not indicate if these results would be the same in humans as they were on rats. More study is required before vinegar can be considered as a high cholesterol treatment. Likewise, it is not a substitute for treatment, so if you have high cholesterol, see a doctor or continue taking your medication as directed.